The students and instructors from the School of Automotive Machinists & Technology (SAM Tech) in Houston, Texas, stopped by last week to check out our international headquarters. Mike Cope, Hurco Technical Product Specialist, and Gerry Traicoff, Hurco Applications Manager gave them a plant tour and a training session. SAM Tech was in town for the 2018 Performance Racing Industry Show and had the opportunity to stop by to learn about the future of manufacturing, Hurco's new 3D Import feature on the WinMax® control, and check out some of our new CNC machines. SAM Tech focuses on automotive CNC technology – teaching students how to machine cylinder heads, engine blocks and other vehicle components. The students and instructors were particularly interested in learning about 5-axis machining and the machine build/assembly portion of the tour. SAM Tech students were familiar with Hurco before their visit since they have Takumi CNC machine in their classroom (Hurco Companies acquired Takumi a few years ago). 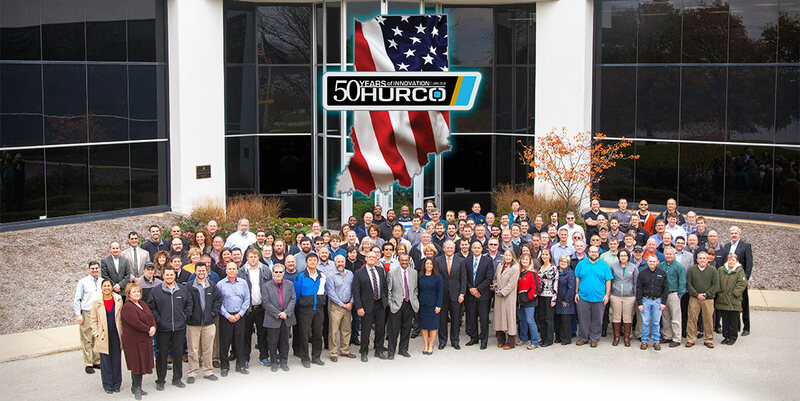 All of us at Hurco are passionate about education and the students who are the future of our industry. If you’re an instructor, feel free to contact us to schedule a tour for your students! 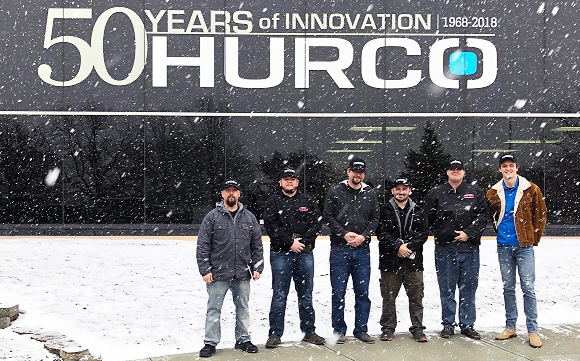 The instructor and students from SAM Tech in Houston, Texas, visited Hurco last week while they were in town for PRI.